ShareASale is exclusively an Affiliate Marketing Network that helps advertisers connect with publishers. They provide the platform whereby advertisers can get the help of publishers to engage shoppers and drive relevant traffic to the advertiser’s site. As with most affiliate networks, Publishers will then only receive a bounty if the traffic converts into a sale. Shareasale constantly develops their technology to provide users with an advanced affiliate marketing platform that delivers both a transparent and superior customer service. Our partnership with ShareASale allows clients to install the SaleCycle tag easily through the ShareASale network, without the need for a developer. This means that whenever any client decides to come on board with SaleCycle through the ShareASale network, they can expect an even quicker implementation process. SaleCycle’s integration with ShareASale enables clients to view their all their digital activity including SaleCycle’s solutions through the ShareASale dashboard. As clients can view all marketing campaigns and activity on the ShareASale dashboard, our clients and affiliate managers are equipped with the knowledge they need to analyze and optimize the wider digital marketing strategy. Our dedicated account managers work closely with both the client and the ShareASale affiliate managers to continually update, improve, and optimize campaigns to their maximum potential. 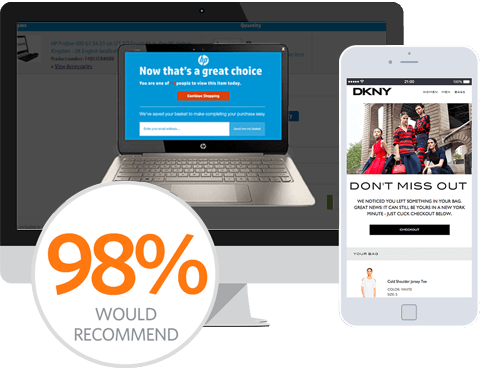 By adding our remarketing expertise to the mix, we can act as a healthy addition to your marketing team and deliver the results that matter to you through the safety net of the ShareASale affiliate network. Enables you to view all digital performance data in one platform. Your SaleCycle account manager will work closely with you and your affiliate manager to constantly monitor and optimize your results.